It’s finally 22nd January and from today DIR EN GREY’s single “SUSTAIN THE UNTRUTH” is officially released in Japan. I believe all the fans are content enough from the single. Another masterpiece is available for purchase. But we will not end here. Australia tour is coming in February. The band will held lives in 4 big cities. Of course Japanese fans will also have the opportunity to see their favorite band. The guys will held Japan tour for their fan club members. So if you are 「a knot」, be sure to check the dates below. 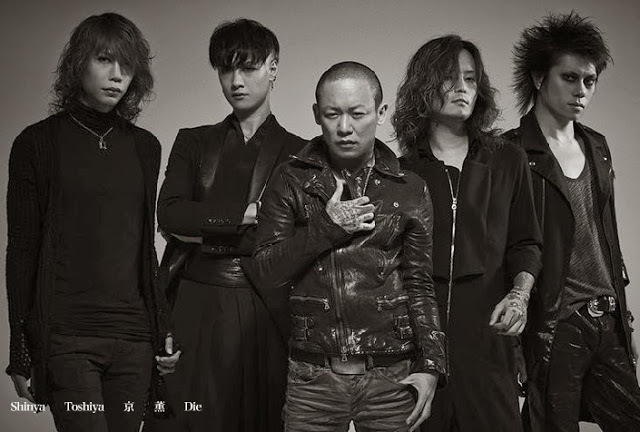 And in March DIR EN GREY will perform not anywhere else, but in Nippon Budokan. 2 dates are set – on 8th and 9th March. The tickets costs 6,500 yen for both performances. Exclusive ticket is also available, again for 「a knot」 members only and their price is 11,000 yen. As today is the release of the single the bans posted a promotion edit video clip of the main song on YouTube and also interview trailer. Check them out!